eg-action has no other items for sale. Essential 37 PCS of Arduino sensors in a case. Mini Prototype test board & Jumper Cables. 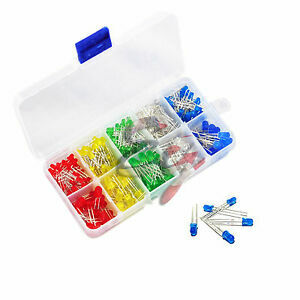 600 pcs Quality Transistors in a case. Special promotion on LED DIY Kit. - 200 LED Lights in a case. - Taiwan LED. There are 391 items available. Please enter a number less than or equal to 391. 5 star ebay seller, super fast shipping Thanks!! Carefully packaged; item just as described. Thank you! Nicely packed in a sturdy box with other items from same seller. Fast shipping! Great price! Great product! Will do business again!! !